What is Haleakala, you ask? In simple terms, it is a giant shield volcano and national park which spans a huge swath of land (over 30,000 acres) across Maui’s southeastern region. The Haleakala summit is the highest peak in Maui, at 10,023 ft. The area is also one Maui's most popular spots, plays host to five different climate zones, otherworldly landscapes, and is home to flora and fauna found nowhere else on Earth. Haleakala means “House of the Sun” in Hawaiian, and legend has it that the demigod Maui lassoed the sun here and released it only after it agreed to move more slowly across the sky. So, that’s Haleakala in a nutshell. However, wrapping up the definition so succinctly would be a great injustice. Haleakala is an experience; life-changing for many, breathtaking for all. Haleakala is the home to one of the- if not the- world’s best sunrises and sunsets. It is adventure, fresh air, dramatic scenery. It is one of a kind and not to be missed. So how to do you experience this enchanting place? Frankly, however you’d like! Check out our Top 10 Things to Do in Haleakala, see which adventure(s) best suit you, and let the legendary House of the Sun fill you with wonder soon. This is a favorite Haleakala activity for many people, and with good reason. Watching the sun dance over the landscape in a show of vibrant colors is not to be missed. Many people ask us whether they should watch the sun rise or set, and, frankly, we think it a matter of personal preference. The overwhelming majority of visitors opt for the sunrise, but the sunset is “just as nice… and possibly nicer,” per Haleakala National Park staff. You’ll also need to decide if you’ll be heading to the summit independently or booking a tour. If venturing out on your own, make sure you know the Haleakala sunrise and sunset times. No matter how or when you get there, we know you’ll love the show! Haleakala’s summit trails run the gamut from easy scenic strolls to multi-day adventures for hard-core trekkers. Our personal favorite is Sliding Sands Trail, but please note this hike is not for inexperienced hikers. However, the views are simply unparalleled! If you’re out for lovely scenery but not up for such a challenging hike, consider the Hosmer Grove Loop Trail or the Supply Trail. You’ll enjoy green vegetation including cedar, pine, and eucalyptus trees; a stark contrast to the Sliding Sands Trail. Regardless of which trails you hike, keep in mind that Haleakala National Park is a changing landscape and conditions can be unpredictable. Therefore, make sure to take water, snacks, and other hiking essentials; wear warm clothing; wear and take sunscreen; carry a hiking pole; and always head out well rested. Encompassing everything from sunrise, sunset, stargazing, and everything in between, skywatching on the Haleakala summit is the perfect activity for every visitor. On the way up the summit, stop at any of the many overlooks along the road to the top, stroll a bit away from the trafficked areas, and marvel as the clouds form right before you. In many places, the visual horizon is up to 115 miles out to sea. And if you’re worried about cloudy conditions, don’t be; as even cloudy skies present loads of spectacular sights including rainbows, moonbows, and even halos around your own shadow! If you’re heading to the summit at night, know that sky conditions are phenomenal- spot stars, planets, and moons galore. Pick up a star map at the Haleakala Visitor Center or the Haleakala National Park Headquarters Visitor Center and map out the perfect night sky trip! Just being in Haleakala is a thrill, but if your definition of “thrill” is something a bit more high adrenaline, then how about heading down Haleakala on a bike? Whether you rent a bike or book a Haleakala bike tour you’ll love descending the 21 switchbacks on the western slopes of the mountain. And the views? Think bicoastal panoramas of Maui’s central valley and the glorious West Maui Mountains. A bike tour has it all: thrills, epic scenery, elevation change, and an up-close-and-personal way to appreciate the House of the Sun. Think of Hawaii and cowboys may not pop into your mind, but a trip to Upcountry Maui means you’re in the land of the paniolo (Hawaiian cowboy). And although you may not be a seasoned rider, you’ll surely love having your majestic host carry you over the winding trails to enjoy stunning vistas of the coastline, the rolling hills, and the lovely flora and fauna that surround you. Not only is horseback riding a great way to enjoy the fresh air in an environmentally-friendly way, it’s the perfect way to make lasting memories and a new four-legged friend. If seeing the sights while you soar along above the treetops sounds like a blast, that’s because it is! A Haleakala Zipline Tour is simply unmatched in both adrenaline and sheer enjoyment. Best of all, ziplining Haleakala is a great activity for the entire family- from ages 8 to 98 and everyone in between. And if you think zipping is fun, mix things up a bit with a Haleakala Bike n’ Zip Combo Tour that’ll have you watching the fabled Haleakala sunrise, coasting down the mountain on a bike, and zipping like a pro. Whether you’re a seasoned zipper or a first timer, nothing beats exploring the beautiful lands of Upcountry Maui on an exciting zipline adventure. The Valley Isle of Maui likes to keep some of her treasures somewhat hidden, so to speak. With so many remote areas, deep valleys, moonlike landscapes, lava flows, and more, seeing so much on one tour is practically impossible. Unless, of course, you head out on a captivating Hana Haleakala Helicopter Tour. Sit back and relax as you enjoy a bird’s-eye view of the House of the Sun and its spectacular crater and towering cinder cones and marvel at the lava flows as they meet the sea. 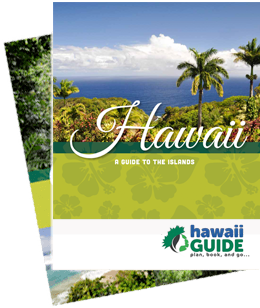 You’ll also explore the lush Hana rainforest, taro fields, coastline waterfalls, and more. A helicopter tour of the Haleakala summit and Kipahulu region is a fascinating adventure you’ll not soon forget! With so much to see, Haleakala is the perfect place to camp and explore at your own pace. Hikers in the summit area can enjoy two wilderness campsites: Holua, located about 3.7 miles down the Halemauu Trail; and Paliku, located about 9.3 mi. along Sliding Sands Trail or 10.4 mi. on Halemauu Trail. Keep in mind that weather can change very quickly at these altitudes, so be prepared. If you’d love to camp but want something a little less challenging, head to one of the park’s two drive-up campsites: Kipahulu Campground- located along the back side of the park- boasts stunning ocean cliff views and is close to the Oheo Gulch (check the NPS website for up-to-date information on possible closures) and the lovely Pipiwai Trail; and the Hosmer Grove Campground, which lies just below the Haleakala cloud belt in the summit area. Whether you choose to hike in or drive in, camping in Haleakala is a truly unique experience. A full 80% of Haleakala National Park is federally designated as wilderness and provides a home for some of Hawaii’s- and indeed, the world’s- rarest plants and animals. In fact, Haleakala National Park is home to more endangered species than any other national park. Be sure to check out the Hawaii silverswords, a truly remarkable plant that can take up to 50 years to bloom once, and then dies. You may also spot the state bird, the nene (Hawaiian goose), or even a Hawaiian petrel, seabirds that navigate by the light of the stars. Taking a Maui Haleakala Tour is the perfect way to spot these rare species and learn about their unique characteristics. Just remember: Always stay on marked trails, never feed wildlife, and treat Haleakala’s residents with the utmost respect. We all know Maui is a beautiful place and keeping the Valley Isle in tip-top shape for future generations of plants, animals, and visitors takes a lot of time and effort. Make the most of your Maui vacation and give back to the place that has given so much joy to so many. We encourage you to visit the Friends of Haleakala National Park website to sign up for any of their volunteer projects. Tasks may include nene habitat improvement, thistle eradication, cabin improvements, and more. You may also consider the Friends’ Adopt-a-Nene program, which helps protect and preserve these wonderful birds. The Pacific Whale Foundation also offers free transportation and Haleakala NP admission to volunteers willing to give a little bit of their time. You’ll also be led by a certified naturalist guide. Giving back… it’s the feel-good moment every vacationer needs and Hawaii deserves!